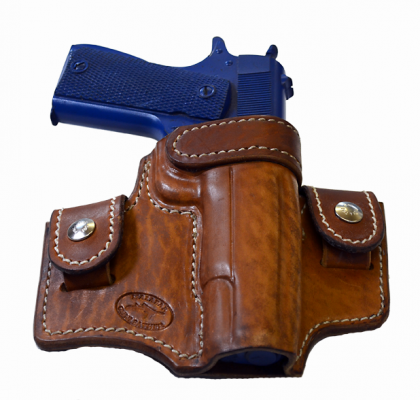 Our best-selling holster, and the one we recommend for most folks who want to carry a medium- to full-size pistol. 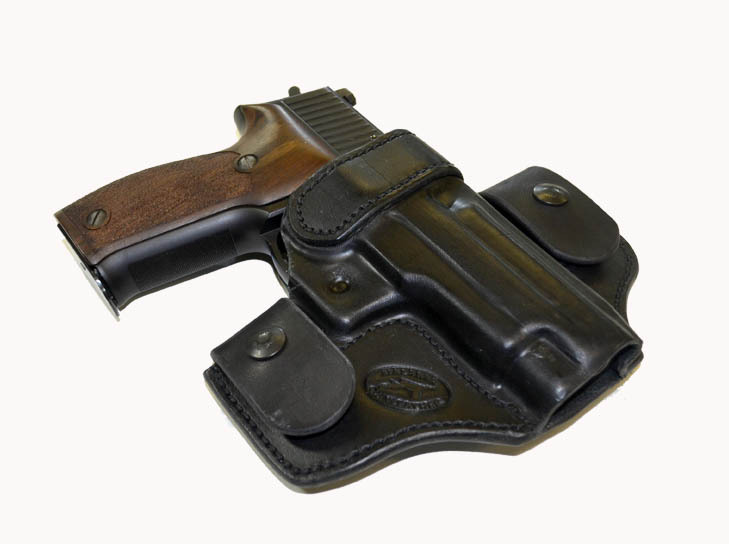 This is a highly-engineered, outside-the-waistband holster that pushes the limits of leather construction. 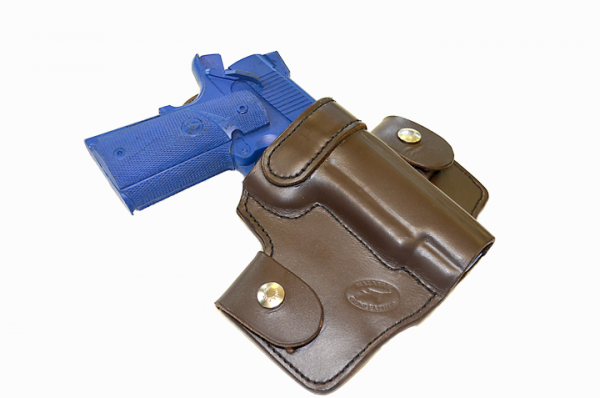 Although it is designed for CCW, it is equally at home in IDPA or tactical classes. 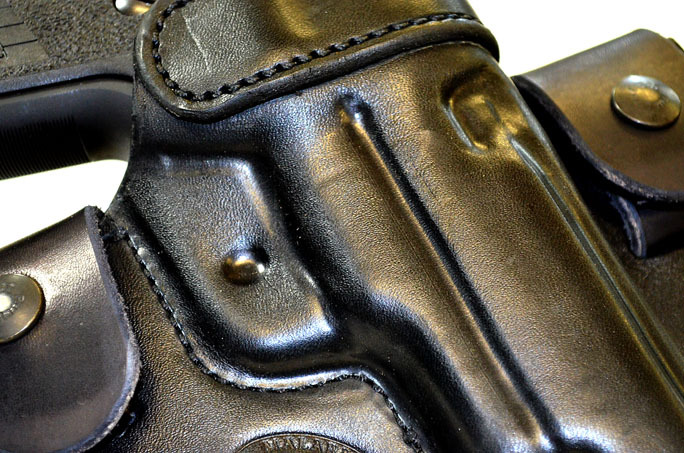 It can be removed instantly from the belt without the need to remove the handgun from the holster -- a huge plus for a civilian who carries concealed every day. It can be worn anywhere from 1 o'clock to 4 o'clock on the strong side. 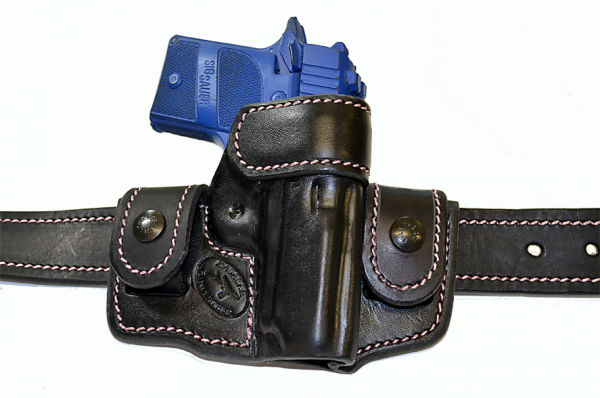 -- instant mounting and dismounting from the belt using replaceable leather straps. 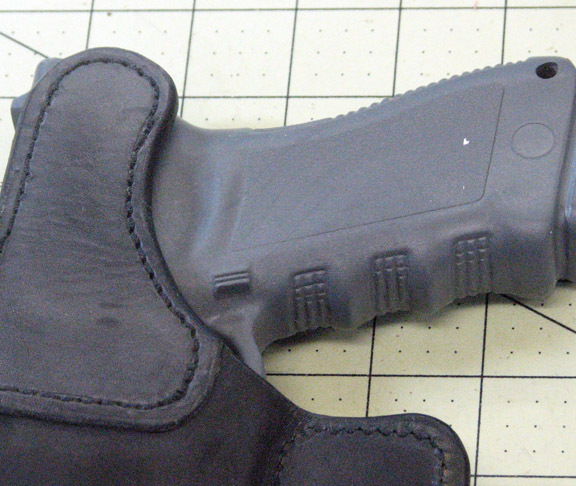 -- military grade, Pull-The-Dot one-way snaps. Pricing: $85, in black or natural Hermann Oak cowhide; $85 in chocolate brown cowhide. $95, in natural tan horsehide.